Reminiscent of the false flag of H1N1 when many bishops in Canada had the temerity to bow to public health officials and alter liturgical norms and practises. Archbishop Richard Smith of Edmonton has banned Holy Communion on the tongue -- a norm, a law in fact, over which he has no power to affect. In a January 6 letter to priests, due to the apparent "escalation in influenza" various "temporary" measures were enacted in addition to the banning of the Body of Christ on the tongue including the elimination of the distribution of the Precious Blood, emptying of Holy Water fonts and the practice of shaking hands at the Peace. The reception of Holy Communion at Mass by the people is not mandatory, only the priest celebrant is required to complete the Sacrifice. If the influenza was so serious, then all should have refrained on order of the Archbishop and made a Spiritual Communion which would have come under his authority. The banning of distribution of Holy Communion on the tongue is not within the Archbishop's purview. The Law of the Church provides that it is the norm and it is communion in the hand that is the indult, the exception. 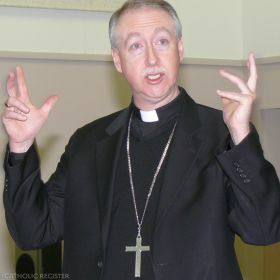 During H1N1, Bishop Fred Henry of Calgary also bowed to secular authorities and went so far as to suspend the Holy Mass by the Priestly Fraternity of St. Peter after they asked the people to make a "Spiritual Communion" so that the priests would not be forced to violate Church Law, disobey the bishop or their consciences. The actions of Bishop Henry came to an abrupt halt after intervention from the Vatican. 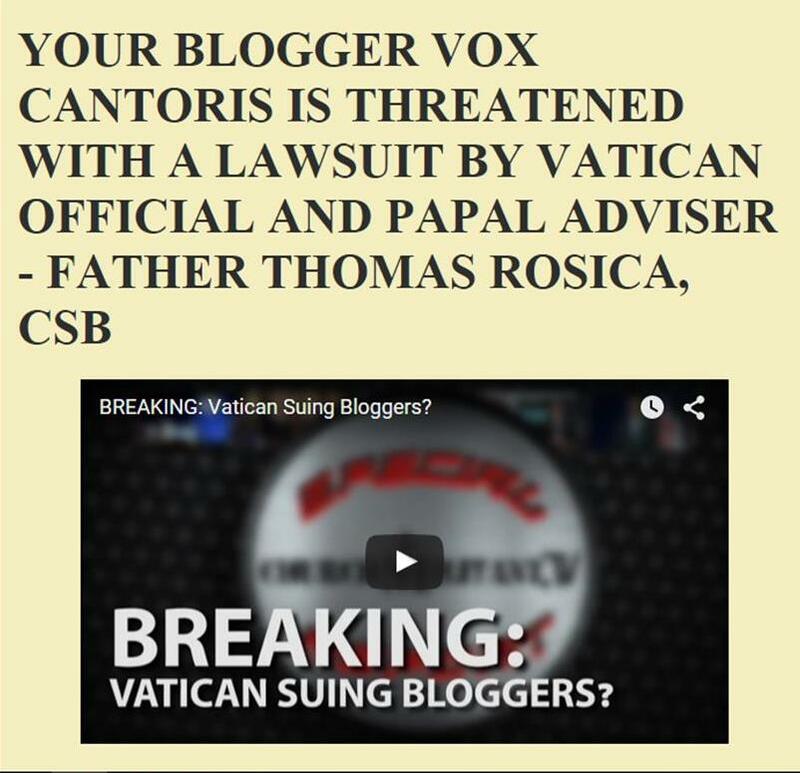 In a response to a letter to Bishop Henry by this writer, he responded by twisting the words of Pope Benedict XVI's letter accompanying Summorum Pontificum to elevate his authority over the Vetus Ordo beyond what the letter or motu proprio actually stated. This matter was clearly dealt with previously. 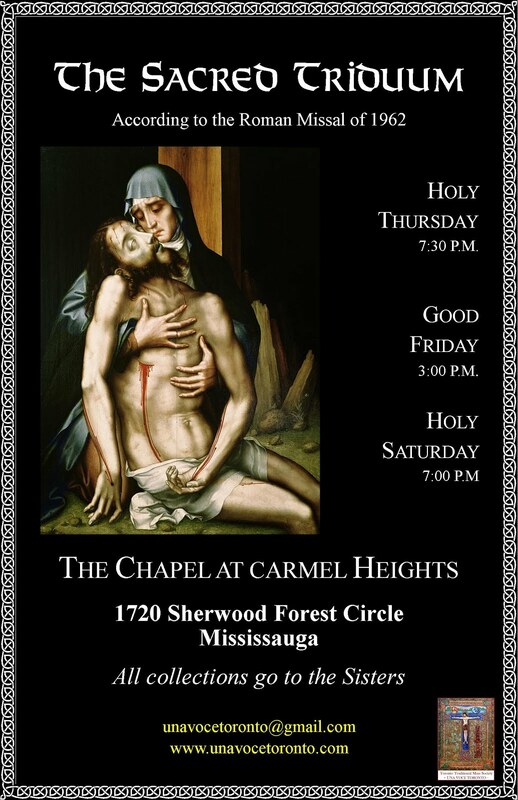 In Toronto, Holy Communion was also banned on the tongue during the H1N1 scam, though the FSSP which was here at the time did not follow it and three months later, they departed Toronto. In Ottawa and Vancouver for example, no ban on the reception of Holy Communion on the tongue was demanded in the either Form of the Roman Rite. What is most shocking to this writer, beyond the arrogance of the Archbishop of Edmonton to flaunt the Law of the Church, is that after nearly a month, this word has finally become known. Are the Catholics of Edmonton that careless about what their role is when bishops act in error and restrict their rights or are there just so few that receive the Lord in the traditional manner? Do any of them even know their rights or do they even care? There has never been a study with any hard data that the distribution of Holy Communion on the tongue, properly administered, leads to any proliferation of influenza. Not even during the Spanish Flu epidemic a century ago, when all received on the tongue, was such a measure taken. Ironically, as reported in the Catholic Register, whilst President of the Canadian Conference of Catholic Bishops, Archbishop Smith, urged Canadian Catholics to "stand up for their religious rights" and he worried about the "erosion" of religious rights. Except perhaps when the erosion is from within. From a historical point-of-view, may I refer you to this letter from 98 year old Msgr. Vincent Foy who will soon celebrate his 75th anniversary of ordination to the priesthood. Well, Edmonton Catholics, what do you say? Discontinue the reception of the Precious Blood as part of any public celebration of the Eucharist. Limit the reception of the Body of Christ to the hands only. Suspend the practice of shaking hands during the Sign of Peace. This can be replaced by a bow or an intentional nod of the head toward those around you. Empty all holy water fonts. Be mindful of the importance of basic health measures. For example, thorough hand washing is an effective means of preventing the transmission of infectious material (nasal secretions, saliva, etc.) from soiled hands. Make alcohol-based hand sanitizing solution or tissues available in the church entrance. Encourage all parishioners to remain home at the first sign of illness, especially a cough or fever, out of respect for their brothers and sisters. Those who stay home can view a televised Mass onSalt+Light Television, on EWTN Television, or online at www.canadiandailymass.com. They can also make a Spiritual Communion; instructions for this are posted on our Divine Worship page. Pastoral care team members who bring the Blessed Sacrament to shut-ins should not attend any homes where influenza is known or suspected to be present. Archbishop Smith also asks that we pray for the comfort and healing of all those afflicted by the illness, those who have died, and for those who are caring for the sick. I think the faithful of that diocese should write to the CDW. There's nothing like a flood of mail to get some quick attention, along with whatever public discussions do. I don't think this will hold up at the CDW. And, as one who receives regularly at the Communion rail, kneeling, and on my tongue, I can say that I feel it is far safer than having the fingers of those distributing touching hand after hand. Anyone trained properly in how to distribute on the tongue would never even touch any part of the person's mouth. I had one inexperienced priest touch my tongue every time because he had his hand upside down. But with dozens of others, that has never happened. So, being sanitary about it takes training. The Oratory seems to do fine without it. I am more bothered by the second-last instruction: Pastoral care team members who bring the Blessed Sacrament to shut-ins should not attend any homes where influenza is known or suspected to be present. At least he is making a little sense by also banning the Common Communion cup; the inconsistency of other Communion in the Paw advocates is astounding. In an ideal world we would be able to kneel at a communion rail and the priest would reverently place the Sacred Species on our tongues. But that is not the case for most Catholics. For those who attend the NO Masses, it is not always a reverent, careful placing on the tongue. There are so many variables: The communicant is in motion, must say "Amen," and is often met with inexperienced EMHC's who attempt to place the Host somewhere around the epiglottis. Too often have I felt the EMHC touch my tongue. This occurs also with hasty priests or priests irritated with those of us who receive on the tongue. So it is a very real and frequent occurrence that saliva is transmitted to the next communicant. The CDC says the primary transmission of flu and cold germs is through the hands; one would assume it is the case that those hands have met with secretions from the owner's mouth and nose. Yes, EMHC's should be discontinued, and we should return to communion rails and deep reverence, but this everyday reality for Cdn Catholics is not forthcoming. I suggest the bishop be offered some slack. He is concerned about the health of the elderly, the young, and those with compromised immune systems. In the meantime, since it seems no one will soon be ridding us of EMHC's, let us diligently train them fully and use larger communion hosts. I don't think I can find words to express how ridiculous and sheer wicked is this new policy. Heaven defend us from wolves in sheep's clothing.